Caster church in the idilic Lincolnshire town has been graced with the tremendous news that they have been awarded a substantial grant to help with their church heating system upgrade. Almost a quarter of a million pounds has been awarded to help towards a major restoration project which will see a complete overhaul of the church building and of course it heating system. The expected cost for the project totals over £330,000. Part of this cost has been provided by the parochial church council, with the rest coming from the local Lottery Heritage Fund. Reverend Canon Ian Robinson has been the vicar of the East England church for over twenty years, and has been overwhelmed by the grant, and the support of the local council. He is delighted with the funding, and is excited at the prospect of preserving the church for many more centuries. But things haven’t been easy, a lot of hard work has gone into securing the grant. It can be a long process, but thanks to the efforts of everyone involved the application has been a success. The real work begins now though, and with a large itinerary of work, it’s not going to be a quick job. There is a lot of structural work that needs to be performed in order to preserve the building. Things like the roof and timber supports requires urgent attention. The rotting one hundred year old wood is far beyond un-safe, and needs to be addressed immediately. 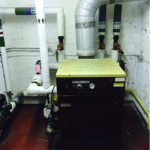 The part we’re interested in however is the Victorian heating system, which was last addressed in the 1950’s. The system is obviously very old and needs a complete overhaul. 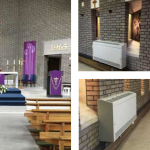 Due to the size of the church we would recommend a series of high efficiency floor standing boilers with hot water radiators place at key positions throughout the building. Paired with a WiFi powered control unit and zoned areas, this system would provide cost effective heat and can be controlled from a smartphone remotely. 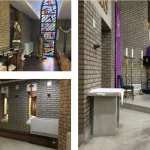 The full schedule of work for the building restoration is expected to take two years to complete, and a heating system of this nature would take no more than a couple of weeks with our fully qualified specialist church heating engineers.